How could ALL dreams be OBEs? The Astral Pulse > Dreams > Welcome to Dreams! > How could ALL dreams be OBEs? I've read Xanth's post and book, so I'm familiar with his theory that dreams, lucid dreams, and astral projections are all different levels of awareness in the non-physical. And this made sense to me - I've even experienced shifting between all three in the same OBE. So it did seem that all three were OBEs just with different levels of awareness. But, there have been times like yesterday when I layed down on the couch and with in moments I found myself dreaming up something behind my closed eye lids. Then I opened my eyes again and I know for a fact that I did not project out of my body while dreaming that short dream. Think about daydreams as another example. We're not out of the physical body and in the non-physical when daydreaming, so how could ALL dreams be OBEs with a lower level of awareness? It seems like some dreams are taking place behind closed eyes while still in the body. So how do you explain this? I know when I shifted through all three states (levels of awareness) I didn't go from dream awareness back to vibrating and separating before realizing I was out of my body. I didn't have to separate from the body, it was as if I was already separated and in the non-physical all along and just shifted my awareness. But I have heard someone else report that they went from dreaming to vibrating and separating before realizing they were out of their body. So how could ALL dreams be OBEs? Re: How could ALL dreams be OBEs? There is a focus level by the TMI also attributed to dreamers, also Kurt Leland wrote a lot about the astral Dream Zone (no matter if you're lucid or not). I understand that everything is an illusion or projection. That is the ultimate truth. Time and space is an illusion. Everything in the physical and the non-physical is ultimately an illusion. All the different planes of existence are illusions as are the bodies we have in each. But to me, that doesn't explain it. We are living within the illusion, so why are we talking about it from outside the illusion? In this great illusion of life we seem to have different bodies for different planes. And if I'm just wondering how I could be dreaming from my physical body and not my astral body in the illusion. Maybe I am misunderstanding your question or maybe you could re-state it. It's a good question and it does involve an exploration of different possible answers. IMO, dreams are OBEs in the sense that they involve shifting our focus from the Physical Reality (PR) to the Non-Physical (NP). I know that you already get that, I'm just starting from a basic given premise. Dreams don't necessarily involve a sensation of 'leaving the body'. If you had the experience of shifting between various levels of PR and dream awareness, then this was likely a teaching experience to demonstrate those various shifts in awareness, and what they feel like...a very cool experience. Experiences like that one are really great, but as many questions as they seem to answer, they also introduce new questions...it's a wonderful process but also a bit frustrating, lol. This discussion is a good one but it runs the possibility of getting too much into the weeds (details) or running the car into a ditch needlessly (and metaphorically). It is a good example of getting lost in naming and labeling and needing to categorize everything we experience. I ran into this problem with my own experiences which had multiplied over a number of years and was proving quite frustrating for me. Finally, I just gave up and I put some of them into a general category of "experiences" until the proper answer provided itself, if and whenever it does. But at some point, we begin to lose the idea of 'leaving the Physical body'; the focus shifts just happen much more naturally, much more from a simple consciousness basis. Monroe described this in his second book, but I don't think he gave enough time and attention to what was happening. You no longer move into the etheric, you bypass that completely. For a few years I did get experiences of both, but now I can't remember my last etheric exit; I would have to refer to my journal. Now, I look for 'portals' but I realize that even that is a convenience, a contrivance...I don't really even need it...just make the shift. Somebody like Szaxx can't even remember having an etheric/RTZ experience; in his case, I wouldn't be surprised...his earliest experiences likely took place in the astral or the mental planes. Again, I want to stress that these are just labels; comfortable descriptions for me to describe what kind of experiences I am having in relation to experiences that you or others may be having. When the time comes to drop these labels, I will be happy to do that; but for now, we do need SOME system of agreeable description to share. And the hybrid system of Chakras/Energy Bodies that the 19th century Theosophists adopted (despite the needless intellectual complexity that they promulgated ) seems to describe the process pretty well...at least for now, lol. So, honestly, rather than fussing around trying to fit my experiences into the proper categories, I just concentrate on having more of them. I will sort them out later! I guess your question is if it is possible to remain fully aware when you fall asleep, and stay so until you wake up, whenever you want. I don't know that, but it is possible to get in an equivalent altered state of consciousness almost anytime you want. Actually, doing that during the day, from a fully awake state, yields a higher quality experience than if you try it when you're sleepy, and it is more difficult not to fall asleep (both your body and your awareness). I do not quite understand the equation projection = illusion. Generally, I do not think this 'illusionism' thing - which is abundant especially in a lot of new age material and speak - is the right philosophical approach. A projection is not an illusion for me, neither is a dream. For me all is 'real'. To me, everything is an illusion or dream including physical reality. An illusion means something that isn't really real, but that is perceived. A dream means the same thing. I personally don't care for the term projection, because it implies that something is projected outward upon something else like a screen. And that requires space and space is also an illusion. A Course In Miracles says that we are at home in heaven (One with Source) dreaming of exile. Dreaming of separation. All bodies and forms exist within the great dream. And anything that takes up a definite space is a body, including your automobile. To me, life is but a dream. As are all the other planes of existence which are made up of bodies and forms. Some experts say that reality is like a holographic simulation. That is just another way of saying the same thing. Kurt Leland says that if you're in the etheric body you will have a cord that connects it to the physical body and you won't be able to move but a few yards away from your physical body. And if you're in the astral body you probably won't see a cord unless you're dreaming one up and you will be able to move further away from the physical body. If this is correct, I don't think I've ever experienced the etheric body either. I have heard though that it's been proven that when we are asleep, one of our bodies floats a couple feet above the physical body. But that doesn't necessary prove that we don't go anywhere. 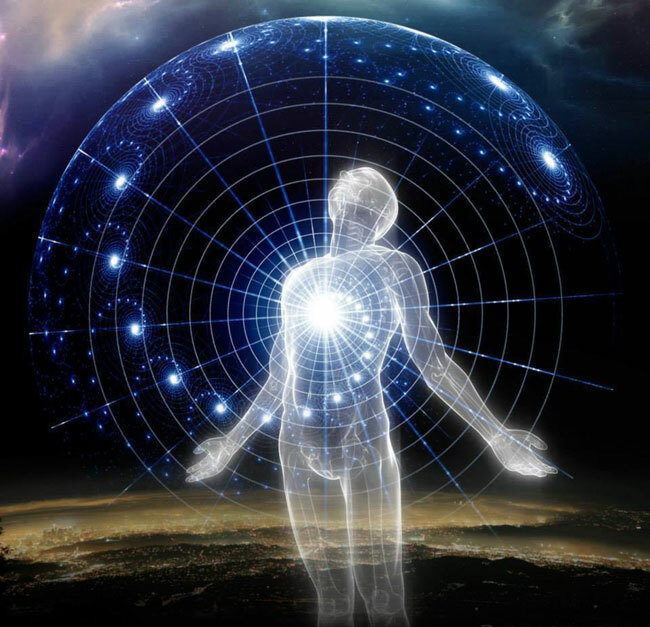 I suspect this is the etheric body and our consciousness might be off in the astral plane in our astral body while the etheric just floats a little detached from the physical body, but who knows. I really don't know how to restate my question any further. It just seems to me that there are separate bodies for the separate planes. If dreams take place on the astral plane in our astral body, and the physical reality dream takes place on the physical plane in our physical body, then how did I dream from the physical body? My physical body wasn't asleep yet and the astral body hadn't separated yet, yet i still had dream imagery going on in my mind. That's all I'm saying. Trying to make sense of others' theories will lead you nowhere, in the best case. In the worst case will lead you farther from the truth. I don't think investigating myself is going to help me understand this one any better. I have astral projected in my sleep a few times and I still don't understand it. I'm not sure anybody else here does either. That's why I'm getting answers like this. Unfortunately it is very rare for me to become conscious in the non-physical. I am currently recording my dreams and trying to become conscious in my dreams, but not having much luck. At night I listen to Robert Monroes hemi snyc recordings but that's not working yet either. Although I did feel the vibration stage last night. That's nice toward those who took their time to reply to you. Why did you start a conversation if you knew that all the others don't know either? Okay, now your question becomes a little more clear. So, it appears that you had some dreaming imagery while you felt that your Physical body was still awake. I remember that when it occurred for me and it caused a small amount of disorientation for me at first; just where, exactly, was my awareness focused at this point? I think this was a positive step forward for you; you just need to find some context for it. My current 'provisional thinking' is this: Even while you are Physically focused and aware, you still have instant availability/access to your higher energy bodies; you don't have to project to have access to them. Learning this is part of our development. Somewhere in there lies your intuition, somewhere else lies access to your dreams and subconscious. Leland makes the point that the astral body IS the subconscious. I'm not completely sure about that but it certainly seems to have a 'close' relationship to the subconscious. So, when you lay down and start getting hypnogogia...this is showing you that your 'flexibility of awareness' is increasing. This begins with little fragments of images/feelings/knowings. It eventually increases in both duration and depth; you get 'dreamlettes' or short fragments of dreams. This, I think, is teaching us a certain dexterity in allowing our awareness to move around some of these energetic bodies/perspectives. Dealing with Sleep Paralysis is like taking the crash course in learning some of this! Taken to more extreme lengths, you can have what Lumaza describes as his Phase/Soak sessions, the closest I have gotten to it is taking a shower and being overcome for a few seconds with a 'waterfall vision'. Keeping your balance in the shower becomes a little tricky...lol. Maybe that gives some ideas. I don't think investigating myself is going to help me understand this one any better. I have astral projected in my sleep a few times and I still don't understand it. I'm not sure anybody else here does either. That's why I'm getting answers like this. A few successful brief OBEs/LDs won't answer your questions either. You get back from this practice what you put into it. Start doing some constructive daily exercises and work to show your true "devotion" and you will be rewarded with "some" of the answers you seek. I practice almost daily and am not much closer to finding any absolute truths myself. I am still in "observer mode". First you need to experience this before any answers or logic is directed your way. But then again, just when I think I know what's happening, something else occurs and everything changes again. This can be by acquiring "new levels" or "layers", (as OmCasey puts it), of consciousness. It seems like there is different rulesets for each level/layer you may find yourself in. It just seems to me that there are separate bodies for the separate planes. If dreams take place on the astral plane in our astral body, and the physical reality dream takes place on the physical plane in our physical body, then how did I dream from the physical body? My physical body wasn't asleep yet and the astral body hadn't separated yet, yet i still had dream imagery going on in my mind. That's all I'm saying. You might differentiate between bodies (astral, physical, mental, etc.) and soul/mind/consciousness/awareness. Bodies are the vehicles you use on each consciousness plane. And you can experience being bi-located or 'multidimentional/plane/layered' on several planes in several bodies. Many do and did this. I also felt my physical body and was projected on the astral plane with my astral body often. So this would mean we exist somehow in all of our bodies at once, it is just our "focus" (from a higher view) that changes, hence this leads back to Monroe's focus view. In a mind-split / bilocation / multiple awareness situation/projection we then have a 'focus split' or 'focus multiplying', if you will. I didn't know if they knew or not, I was hoping they did. Sorry if that sounded rude. But from the last few comments, it sounds like Volgerie and EscapeVelocity might have the answer - we can be aware of both at the same time. I guess that's the answer, I don't know what else could explain it.